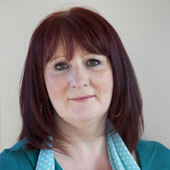 Our founder, Karen Perry, has over 20 years business and management experience within the marketing sector. She has worked with many high profile brands, managed large numbers of employees over multiple offices worldwide. She held the position of Managing Director with a global marketing and events company for several years and more recently spent time with her husband living and working in France. Although Karen had a busy and rewarding career she had the desire to ‘give something back’ to her local community. Karen felt she had empathy with the elderly having spent lots of time providing ‘meals on wheels’ to grandparents and elderly relatives with her Dad. Also having spent time visiting her grandmother, who was in residential care suffering from Dementia. These visits were sometimes happy and funny things would make them laugh together, other times they were sad and frustrating as many people will know from their own experiences. After the loss of Karen’s grandparents and her own mother Karen volunteered her time at weekends, via a local charity, to spend time with someone who didn’t have close family nearby and who needed companionship. Karen was matched with Edith, 91 and the two became firm friends. They would regularly take trips out to garden and shopping centres but also spent time at Edith’s home chatting over a cup of tea and discussing a huge range of topics from the Prime Minister (Edith wasn’t a fan of Tony Blair! ), clothes, learning to drive (she never did master it – Edith, not Karen), hairstyles and the neighbours. What struck Karen was the simple need to chat about normal, everyday things to someone who cared and had time to listen. This never left Karen and she always had the desire to provide care services, with personality, delivered by people who were like-minded – passionate about respectful care, kind and who treat others as they would wish to be treated themselves. After years the dream is a reality with a strong and experienced team in place that can provide this special kind of care in our local communities. Michele stared her working life as a care assistant supporting people in residential care, and although she went on to to work within the Telecommunications Industry in a management capacity, she continued to work in the care sector part time due to her passion and commitment to providing person centred care. After having her third child Michele decided to move away from the ‘corporate world’ and into Health and Social Care on a full time basis. Michele's main roles were as a retention and recruitment co-ordinator and then she trained to be a registered Care Manager, where she managed a team of 8 office staff and 80 carers. Michele has gained a wealth of experience, she has knowledge of current regulations and legislation ensuring service is compliant; she is able to work with clients and their families in a sensitive and compassionate manner enabling them to choose a care package that meets their needs, aspirations and goals along with maintaining their independence. 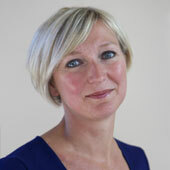 She is a person committed to ensuring compliance with the Care Quality Commission along with ensuring that care provided meets the personalisation agenda set by the government, and all clients are treated with the dignity and respect they deserve by carers who are fully trained with the skills and knowledge to provide excellent care/support. Michele continues to focuses on her own personal development and is continually updating her skills and knowledge; she has a BA (hons) in Human communications, NVQ 4 in Health & Social Care and is completing NVQ level 5 in Leadership and Management. Michele is a ‘Train the Trainer’ in the following: Dementia, Life Story work, Medication and Dignity in care. Michele has rolled out an Alzheimer’s training programme to carers enabling them to work with clients with Alzheimer’s and other dementia's enabling them to support clients in a positive way providing them with strategies required when working with challenging behaviours. A great achievement was to be selected to work on a project initiated by the Department of Health, 'Your Story Matters’; Michele was trained by the life story network. After becoming a life story ‘Train the Trainer' she was able to implement the use of life story books into clients homes. She actively promotes the use of life story work to build client and Carer relationships. We are all different and our life history influences who we are today, Michele believes that capturing each client’s own uniqueness enables us to provide person centred care which is meaningful to the clients we support, preserving their identity and respecting their values and rights. Michele has personal experience as she cared for her terminally ill Mother. She can call upon not only her professional but also personal experience to support and guide family members through difficult times. A finalist in the regional Great British Care Awards for Domiciliary Care Manager 2013 and voted runner up, this was a great accolade and Michele said "I am very proud to be recognised for the work I do, and will to continue to improve care in the community with alice chilton". Mark is winner of both the regional and national titles for the Best British Care Coordinator awarded at the Great British Care awards 2014. The purpose of the awards are to pay tribute to those individuals who have demonstrated outstanding excellence within their field of work. We are proud of Mark's achievement and contribution to the industry and especially delighted to see him take the national award in such a competitive environment. Well done! Mark has worked with health and social care since 2008, working as a staff Coordinator for a national domiciliary care company. His background combines over 20 years of managerial, customer service and operational experience, all of which has enabled him to make a success of his role. 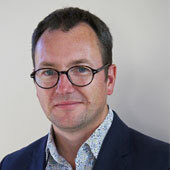 Mark's role is vital within alice chilton, he allocates clients with a Carer that not only meets their needs but also has the basis to form a relationship with the client allowing them to feel at ease and enables them to have an enhanced quality of life. Mark not only looks at the skills and knowledge of the carer but also takes into account suitable personalities; he works with our Care Manager to assess the information gathered on the client to enable him to select a suitable carer. Mark has regular touch points with clients for feedback on their carer and services provided. We want to retain our great Care team, so a key aspect of his role is to ensure they all have appropriate hours of work allocated to them which matches their availability, he also has to ensure he keeps their travelling time down to a minimum. Mark achieves this by keeping our carers local to their homes, enabling them to work in their local communities. Mark said “I love playing a part in improving the quality of lives of all of our clients, and seeing the relationships between clients and carers blossom, getting the right carer for a client allows the client to trust us and enjoy the benefits of the excellent support we provide." 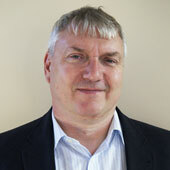 Simon completed his degree at Stirling University and then travelled to Japan to teach English as a foreign language. He returned to the UK and spent over 12 years working in the banking sector primarily for ‘private’ clients, who demanded the highest levels of service. Throughout his career Simon continued to study in order to broaden his knowledge and progress, he fully understands the importance on ongoing training and development whatever sector you work in. Whilst it is natural for Simon to take on board the financial responsibility for the business, he appreciates the importance of providing the very best care team possible for our clients which is why he has supported paying above industry average rates for our care team. He is also championing an incentive programme to recognise and reward the great work our care team undertakes on behalf of alice chilton. No doubt there will be other initiatives created to ensure alice chilton retains the best carers in the sector. Simon has also been able to call upon the knowledge and experience of his contacts to put in place solid foundations from which the business can grow including employment law, health & safety and training support to ensure peace of mind for our clients and our employees.